You may think that making “toddler” apps is easy. I mean, really how hard can it be to to whip up some shiny things to catch the eye and sprinkle some ABC’s and 123’s into the app so you can slap an educational label on it? And that’s exactly why the App Store Kids category is so crowded with apps for ages 5 and under. For some developers, the illusion of a low cost entry point to the educational market is a big draw. But quality is not something that is easily achieved and kids are smarter than you think. 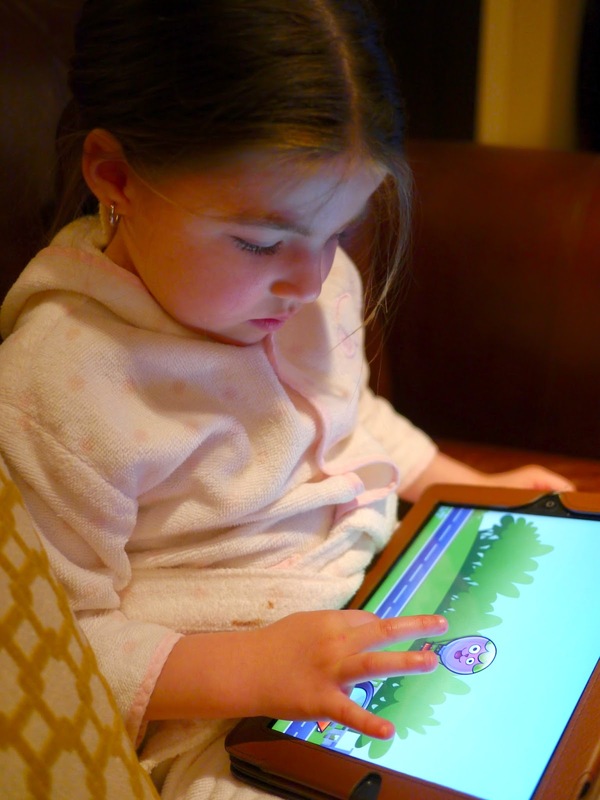 The competition for your toddlers attention is fierce and that is exactly why it is takes lots of effort to make an app that stands out from the pack. We toil, we toss, we turn, we sweat, we fret, we struggle, we test, we test some more, we change things (important things that we love), we analyze and we test some more - in short, we work really, really hard on every app we make so that kids will get something they want to play and adults get something they don’t mind paying for. This takes lots of time. We spent the last year developing Mystery Math Town and Mystery Math Museum (grades 1-3) and client apps like World’s Worst Pet and Door 24 (grades 4-8) but for our next app we wanted to get back to our Alien Buddies roots and create something for preschoolers. Jim and I both have little kids at home (3 and 4 years old) and we wanted to make something for them. We also wanted to develop an app that could be localized for play in different parts of the world... and we wanted kids to be able to play it on tablets and phones for iOS and Android. We settled on a driving game where the child can explore a variety of landscapes in different vehicles and encounter early learning math activities along their journey. We started making Drive About: Number Neighborhood in December 2013. There were lots of Skype meetings with each of us working from home during our winter snow days to decide on the app specifications and Lis went to work on look and feel. We set a target launch date of late April. Our testing process begins with a pretty close internal circle until we approve the concept and then we work on things until we feel it’s in a good position to share with family and friends. We observe play and record feedback and we go back to the drawing board to make improvements before the next round of testing. When we feel the app is ready to share with folks on the “outside”, we distribute it to our wider network of parents, teachers and kids. This Beta app review is a big moment in the development process and the user feedback we collect can shape the app in ways we never might have guessed. From this point we formulate a revised development plan to add the finishing touches for a final round of development. (Cough) Remember our original April target date? The only sure thing I can tell you is we’ll keep working until we get it right.